More than 40% of all car accidents in the United States are rear-end collisions. Usually, these kinds of accidents happen at a stop light or some kind of an intersection. Since the average person will likely have at least three to four car accidents over the course of their lifetime? There’s a good chance that, at some point, you’re going to get rear-ended by another vehicle. Or, you might even do the rear-ending yourself! In addition to the emotional trauma that can often accompany a car accident, you also need to start thinking about the potential legal and financial consequences that you’re up against. You’ll have to file a claim with your car and health insurance, file a police report, and, in some cases, even go to court to get the settlement you need from the other driver. In short, there’s a lot to take in. 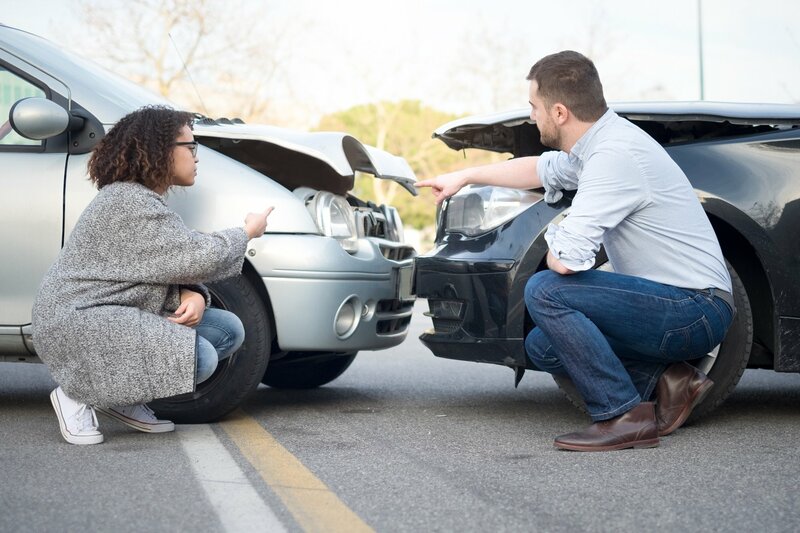 Read on to learn what you should expect if you’ve been rear-ended, and how you can best prepare for any legal battles ahead. We know that it’s sometimes tough to keep from panicking and to think clearly after you’ve been rear-ended. You’re likely feeling confused, physically hurt, and definitely afraid. However, like it or not, what you do in the immediate aftermath of being rear-ended is the only way to build a strong foundation for both insurance claims and a potential court case down the line. So, what are the most important steps that you need to take after you’ve been rear-ended? First of all, take as many photos and videos as you can. Film or photograph the interior and exterior of your car. Make sure you document any injuries you’ve sustained. If possible (and if you think this won’t cause the other driver to react violently) take a picture of their license plate and vehicle make/model. Next up, call the police as soon as you can. Even if you and the other driver think you can settle this issue between the two of you, the police will help you to file a report. They’ll also collect the proper contact information. Doing this can prevent the driver who rear-ended you from pulling a disappearing act down the line. Collect any witness statements that you can. Who saw the accident happen, and would they be willing to testify in court to prove that you weren’t at fault? Make sure that you encourage these witnesses to speak with police on the scene. As always, collect their contact information, as well. Above all, it’s important that you never, ever, admit any kind of fault while at the scene. Being polite won’t do you any favors should your case go to trial. In fact, attorneys for the other driver could twist your apology into an admission of guilt — thereby seriously jeopardizing your case and your settlement as a whole. If possible, make it your goal to have as little contact with the other driver of the vehicle as you can. Above all, avoid getting into any kind of a verbal or physical altercation. Unfortunately, getting rear-ended isn’t only damaging to your vehicle. It also comes with a whole host of potential injuries that you need to be aware of. Even if you don’t feel any sort of pain or spot a visible injury right away? Understand that some of these injuries don’t begin to show until a full 24 hours after the accident — and sometimes even longer. The type and severity of the injuries sustained will depend on a few different factors. This includes things like the height and angle of your seat back, the location of the impact itself, the speed and weight of the other vehicle, and much more. Some of the most common injuries after getting rear-ended include facial disfigurement/laceration, whiplash, concussions/other head injuries, broken bones, and in severe cases, brain trauma and paralysis. Since between 20-50 million people are injured in car wrecks in a single year, there’s a good chance that you won’t walk away from getting rear-ended unscathed. The important thing to remember? Even if you feel fine in the immediate aftermath of an auto accident, it’s important that you see a doctor as soon as possible. Not only will this help to treat and diagnose potential injuries. It also means that you’ll be able to provide both your insurance company and your legal representation with medical documentation proving your injuries. The more documentation you can provide, the more likely you are to be fully reimbursed for injuries sustained as a result of getting rear-ended. So, you’ve gathered the evidence and seen a medical professional after being rear-ended in Louisiana. What do you need to know about navigating the legal side of things? First of all, it’s important to be aware that usually, the person who rear-ended you will be presumed to be at fault. This might be because they were participating in distracted driving, and weren’t really keeping their eyes or their focus on the road. It could also be because they weren’t maintaining a proper following distance between their car and your own, which meant that they couldn’t stop in time. While this might all sound like good news for you at first, it’s not quite time to start celebrating just yet. Keep in mind that there are a number of ways that the driver who rear-ended you can prove that they weren’t really at fault. How Can Another Driver Avoid Fault? First of all, they may have rear-ended you because of the actions of a negligent driver behind them, resulting in a multiple car collision. Additionally, the driver who collided with you might be able to prove that they were watching the road very carefully. They could also argue that, while they were in full control of their vehicle, an unavoidable hazard made them collide with your own. A driver would also argue that they were keeping a reasonable and safe following distance from your vehicle. In some cases, they may even try to blame the accident on you. Perhaps you didn’t have your turn signal on. Maybe you waved another driver through the intersection when it was really your “turn” to drive through, confusing the driver behind you. Maybe unexpected construction caused the driver behind you to have to suddenly merge into your lane. Whatever the reason, you should expect to be met with some resistance by the driver who rear-ended you. Understand that these cases are not always as cut-and-dry as they might seem. Unexpected road construction and your desire to play traffic director aren’t the only ways that the driver who rear-ended you can prove that they weren’t at fault when it comes to a stop light accident. Another way that they can make the collision look like something you caused? If your car’s brake lights weren’t functioning properly. Especially if the accident happened at night or in another low-visibility set of conditions? The other driver might have a case when they claim that they weren’t able to see that you were braking in front of them. Since it is the responsibility of the driver of any vehicle to ensure that their brake lights are working properly, you could run into trouble in this scenario. This isn’t the only way that the other driver could get out of being found at fault after they’ve rear-ended you. Let’s say that you had a problem with your vehicle, one that caused you to pause at a stop light or stop sign for longer than anticipated. Maybe you even had a sudden medical issue that caused you to have to keep the car stationary for a while. Did you turn on your hazards while keeping your car stationary at the stop light or intersection? If not, then you could be in serious trouble. The other driver may be able to claim that they didn’t see your car, and hit you because of low visibility. One final way the other driver could claim you were the one at fault for the accident? If you pumped the brakes too quickly, resulting in what’s known as a “sudden stop.” Especially if the car behind you was maintaining a safe following distance, you could still be seen as having been driving negligently. Another thing that it’s important to do as soon as possible after you’ve been rear-ended? Get in touch with your insurance company as soon as possible. Of course, you shouldn’t exactly expect for your insurance company to hand over the money without putting up a fight. In fact, dealing with your insurance company after a car accident is one of the most compelling reasons why it’s always a smart idea to hire an attorney. Remember, these insurance companies have huge legal resources — and they’re not afraid to use them. Additionally, your insurance company may also work to try to force you (or really, wear you down) into accepting a settlement that’s actually far less than what you really deserve. Again, this is why it’s so important to get as much documentation at the scene of the accident. It’s also why we strongly suggest visiting a medical professional after the collision. If you need to file an insurance claim, you’ll need to be able to prove a few different things in order to get the payouts that you deserve. First of all, you’ll need to prove that you were not only injured, but also that you actually lost wages because the injuries left you unable to work. Remember that you also need to show that the injuries you sustained were a direct result of the rear-end collision — not from a pre-existing condition. Especially if there wasn’t much damage done to your car, or if the collision was small, this can sometimes be difficult to do without an attorney to help you. You’ll also need to prove that the person who hit you acted in a negligent manner, and that they’re liable for the damages done to either your body or your car. Again, this is why gathering witness statements and police reports is such an important part of your overall case. Get in touch with your insurance company as soon as possible after the accident to get things moving. Need An Attorney After You’ve Been Rear-Ended? As you can see from this post, there are lots of different things that you’ll need to take into consideration after you’ve been hit at a stop light or intersection. Above all, remember to gather as much evidence as you can at the scene, understand and prove any medical injuries sustained from the accident, and get in touch with an attorney as soon as possible. Of course, the quality of the legal representation that you work with has the biggest influence over the outcome of your case. Looking for dedicated and experienced legal representation? Get in touch with us to schedule your consultation. Don’t wait until it’s too late to get the settlement you deserve after a rear-end collision.